Discovering New Brands and trying them out is an absolutely brilliant feeling especially when they work! So going through the lovely narrow roads next to Dam Square I came across a drug store and this brand caught my eye immediately as I have never seen it around. 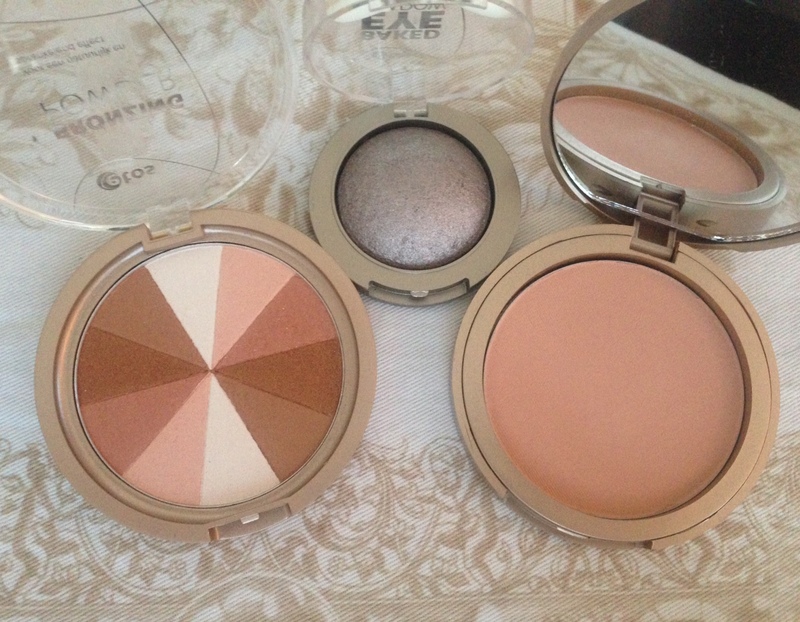 The name is ” etos” a quick look at their make up stand and I immediately wanted to try the bronzing powder as it just look like it it has some soft tones that would suit my fair skin. Trying it on my hand it seemed like it transferred well on the skin so I got it. Then I saw a grey shimmery eye shadow and from experience these look nice but are not pigmented. Again I tried it and Yes it was pigmented and the colour would look lovely to compliment an evening look. The powder is something I like trying out from numerous brands so picked up the lightest shade. In the evening before going for dinner I tried them all to see what they are all about. These 3 products worked brilliantly! The colour you see is the colour you will get on your skin! The bronzer just gave me the ever so delicate colour on my contour area’s and also the white section gave a shimmer. The eye shadow is a super star, I used it on the cap of my eye and then blended a soft grey on the corner of my eye and it made my eyes pop as it has a smooth glitter effect. When it comes to the face powder it worked well on my skin, it was the good shade and it finished off my foundation brilliantly. I am very pleased with these three products and if you are around Amsterdam I really do recommend to pick up a couple of items as they are truly lovely quality products! When they will finish I have an excuse to fly to Amsterdam basically, Easy! Next Next post: Kale Chips the snack of snacks!